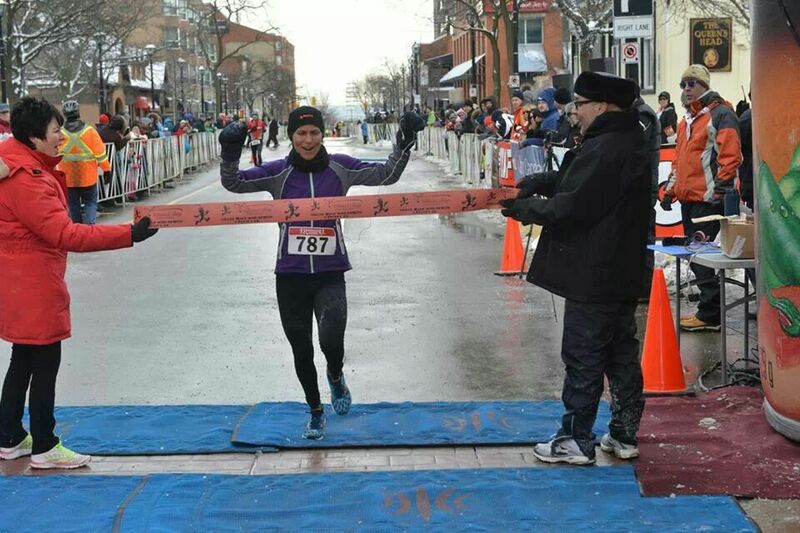 The other weekend I ran the Chilly Half Marathon and had an amazing experience. Yes – it was cold and wet (it is called the “Chilly” for a reason) but the sun was out and the conditions could have been much worse given this winter season. Yes – I won the race and got a finishing time that I was extremely happy about (especially since I’m turning 40 in a few weeks yet managed to finish in a time that was similar to 8 years ago). But what I especially loved about the race is that I truly ENJOYED it. It has been 6 years since I last ran a half marathon, so I wasn’t entirely sure what to expect. Having a constant entourage of male runners that I could tuck behind on the course certainly helped (thanks especially to Michael Doyle!). But what really made the difference for me was having music to listen to. Gasp! Music you say? Isn’t that taboo when racing? Now before some of you start to cringe or judge me, hear me out! I know that there is debate on whether or not to race with music. There is a time and place for it and it depends on the person. But I have my reasons for running this race with an ipod. For me, listening to music is a mental tactic that I use when I feel that my mental strength is not aligned with my physical strength. The music helps to ward off the downward spiral of negative thoughts that I fall prey to at times. I still remain “present” in the race and watch my split times – but the music helps to ensure that I don’t get over-fixated on the numbers and that I also run based on feel. I used this strategy once while running my first half marathon post baby #1. And it worked great – I won the race but more importantly I stayed positive and relaxed. Going into the Chilly, I did not have the confidence that I could hold the aggressive pace –but I knew that my coach Suzanne (and my husband) believed in me. So using music would help to bridge this gap. But this time, I had an additional “secret weapon” – I was running with my 7 year old daughter’s ipod. Mine was broken so I had to switch to hers the morning of the race and therefore did not have time to update the music. This worked like a charm! Listening to my daughter’s favorite song of Girls Just Want to Have Fun by Cindi Lauper reminded me that this race was all about having fun. I immediately relaxed and smiled. Hearing the song Roar by Katie Perry around 12km into the race made me chuckle as I remembered my 4 year old son belting out the lyrics on our last plane ride. And I must confess to doing a little skip and a hop while listening to the song “In summer” from the Frozen soundtrack (a cute little song with a fun beat about a snowman melting in the summer). Part of me wanted to stop and do a little dance right there and then! Finally, in the last 2km of the race when I started to fade, my hamstring seized up, and I no longer had my army of men surrounding me, the song Feel This Moment by Pitbull and Christina Aguilera came on…this instantly brought back memories of competing last year in the Worlds’ Duathlon, and became my “pump up” song for training. This was exactly what I needed to finish strong and smile while crossing the finish line. And for the record…I did obey the rules and only used the headphone in one ear!